I am a very happy me today. I arrived home on dusk to find a very quiet, unannounced brown parcel sitting in my mail box. It turns out that my lovely friend Ruth from Bristol, UK, who I met last year while travelling through the Middle East, had read about the 5 Book Project and decided to contribute to the world of happy, surprise parcels from across the globe. And, oh, did it inspire happiness! 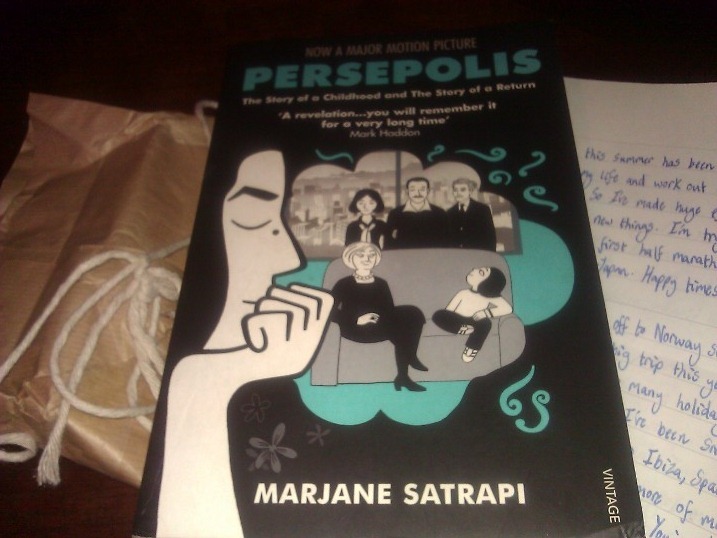 I’ve been bouncing around the house all evening, eager to read my new book, Persepolis by Marjane Satrapi, which is a story about daily life in Iran. While the joy in this parcel is a lot about the romantic reality of post, letters and snail mail, I think it’s also a lot about sharing ideas, reaching out with gestures, reconnecting to people who have inspired a part of your life, in some way or another. So a big, cuddly, bouncy, grin-worthy thank you to Ruth! You made my day!! So lovely. Perhaps after you’ve read this, you can watch the animated feature! That book is so good! The movie is good also, but I’m a sucker for that book! Hey HB, Great to hear you like it. I’m really looking forward to it. I’ve heard other great reviews too. Yay Nicole, I’m pleased that you liked my little surprise! Just reading about your 5 Book Project made my day, so I had to get involved. Now who to send which other 4 books to? I hope you enjoy Persepolis. Meet you in Iran sometime? I’m so I glad you did! You have also made my day!. And the possiblities… 4 more books, 4 more people, 4 more places around the world! It’s a giddying challenge. Also, a big yes to Iran! I seem to be hearing about Iran everywhere lately and am so intrigued. hi, that’s a nice station. There is some mistakes but the principal is here. 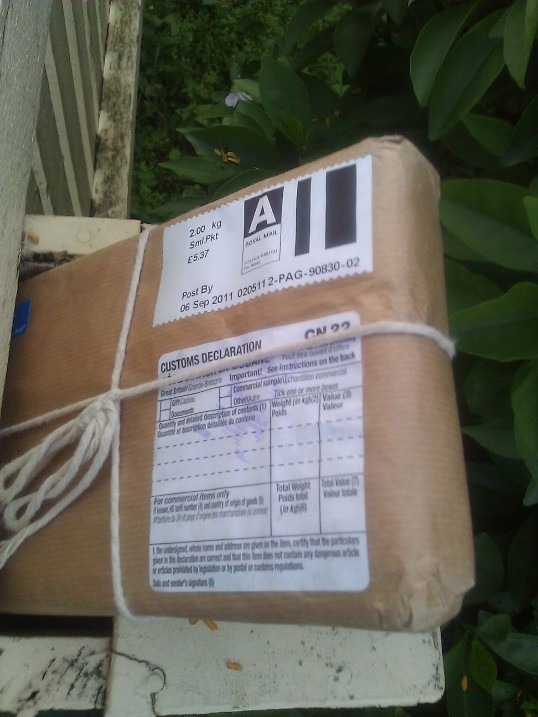 Getting a parcel is such a lovely old-fashioned pleasure!